Without 20 percent to put down or an excellent credit score, it can be tough to get a conventional mortgage. Fortunately, less-than-perfect borrowers have the opportunity to become homeowners with FHA mortgages. An FHA loan is a type of home loan insured by the FHA, or Federal Housing Administration. FHA mortgages are often the easiest mortgages to qualify for as they offer more flexibility for individuals with poor credit scores or little money for a down payment. Learn more about FHA loans, what requirements you must follow, and how a mortgage broker can connect you with the right loan and lender. One of the first things a lender will look at when applying for a home loan is your credit score. For a conventional loan, most borrowers will require fair, good, or preferably excellent credit. Unfortunately, certain circumstances can cause some borrowers to have a poor credit history. If your credit is considered ‘bad,’ an FHA loan may be right for you. To qualify for an FHA loan, you must have a credit score of at least 500 with a minimum of 10 percent down. In most cases, any borrower with a credit score under 580 is considered a sub-prime borrower. However, a credit score of at least 580 requires only 3.5 percent down compared to the 10 percent of lower scores. To lower your down payment amount, it is recommended that you improve your credit score so that it is above the 580 threshold. 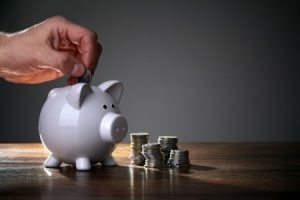 While many people associate FHA loans with ‘bad’ credit loans for low-income people, the government loan is more commonly used than you would think. In fact, approximately 40 percent of home loans in the United States are FHA mortgages. 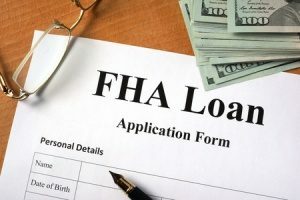 First note that there is no minimum or maximum income requirement for you to qualify for an FHA loan. No matter how much or how little you make, you can still qualify for a home loan if you meet other loan requirements. While your salary does not matter, you must have a minimum of two older credit accounts, such as a car loan or credit card account. To qualify, you must also not have any delinquent federal debts, such as tax-related debts, as well as any debt from prior FHA mortgages. You must also account for any gifts that assist with the down payment. All gifts must be made in writing by the donor. When determining your eligibility to obtain an FHA loan, a lender will also look at your debt-to-income ratio. With the new mortgage calculated into the total, your debt-to-income ratio must be 50 percent or lower. When calculating your debt-to-income ratio, the lender will take various debts and monthly obligations into account, such as any credit credits you may have or student loans. When properly calculated, your debt-to-income ratio reflects the percentage of your monthly income that goes to various debt payments. This tells the lender how much you are able to afford. While FHA loan requirements are fairly generous, there are some limitations to how much you can borrow. As of 2018, a property must meet a FHA geographic loan limit of $294,515 for a single-family home in a low-cost area. In a high-cost area, this number rises to $679,650. Note that investment properties are not eligible for FHA loans and the property cannot be flipped, meaning you cannot buy a home within 90 days of a prior sale. If you take out an FHA loan, the title to the property must be in your own name or in the name of a living trust. While most conventional mortgages require at least 5 percent down but closer to 20 percent, FHA loans generally require just 3.5 percent. However, one of the biggest perks of an FHA loan is that the down payment amount can actually be gifted to you. As long as the person who is providing you with the gift meets all FHA gifting guidelines, the entire 3.5 percent can come from a gift if desired. This is an effective way for some borrowers to finance the entire cost of their home without having to put down any money out-of-pocket. 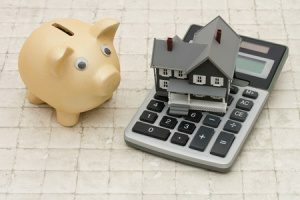 Along with a higher interest rate, most FHA home loan borrowers will also have to pay a mortgage insurance premium (MIP). This is not an optional insurance. FHA loans require that all borrowers have private mortgage insurance, or PMI, when taking out a home loan. With an annual MIP, borrowers must pay a mortgage insurance premium upfront of around 1.75 percent of the home loan. This amount is often rolled into the monthly cost of the loan for convenience. When applying for a FHA loan, the lender may also have other requirements for you to meet to qualify. First, the borrower must be at least 18 years old to be eligible for this government loan. The borrower must also have steady employment and have the ability to provide recent W2s, paycheck stubs, and tax returns. Ideally, the borrower should also have at proof of at least two years of employment with the same company. The person who takes out the loan must also occupy the property as the primary residence. Finally, an appraisal must be performed before buying the home by an FHA approved appraiser. You have finally found your dream home and are ready to become a homeowner. However, the inability to get a mortgage loan stands in your way. If you are searching for a home loan with flexible terms, consider an FHA loan. Experienced mortgage brokers can connect you with loans that meet your specific needs and lenders who are willing to accept your loan application. Mortgage brokers are licensed professionals who can help you every step of the way through the home buying process, from comparing loans to gathering documents. Learn more about FHA loan requirements by contacting your local mortgage broker.